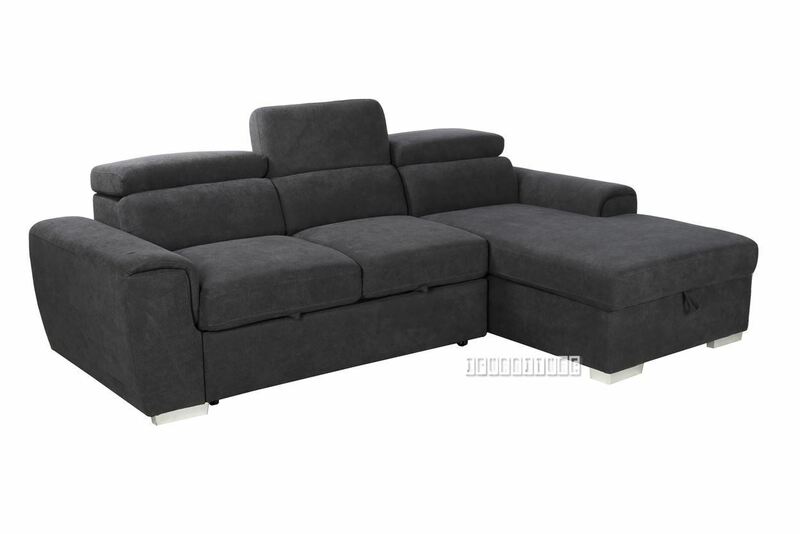 The ELBA sofa bed is an L shaped unit, which can come with chaise on Left, or Right. The ELBA sofa bed is an L shaped unit, which can come with chaise on Left, or Right. It is upholstered in either a Dark, or Light grey fabric. When you lift the end of the chaise, you find there is major storage underneath! A great place to keep bed linen, for that occasional sleep-over guest.Under the two seater there is a section which pulls out and provides even more space as a sofa bed.